I don’t always swatch my knitting projects, but today I felt like doing it. Isn’t the yarn color nice? It’s a dark purple with flecks of pinky red and blue. The project is a mystery. In fact, it is the Downton Abby Mystery Knit-a-Long. A portion of the pattern will be revealed each of the 8 coming Downton Sundays. 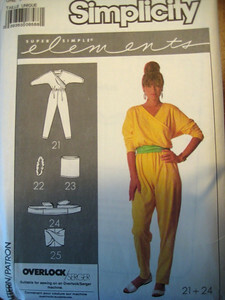 This will be my first mystery knit and I’m excited to get started tomorrow night! 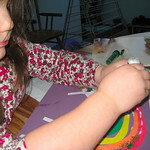 This entry was posted in 365, Craftiness on January 5, 2013 by Rebecca. 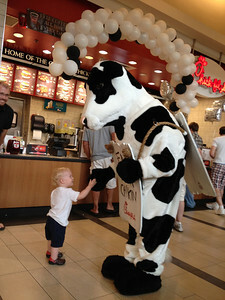 At 2:50pm this afternoon I learned that it was Cow Appreciation Day at Chic Fil A. Free food in exchange for showing up in costume? I’m all over that! With only a few hours till dinner and a crafting budget of $0 the project required a little quick thinking and some good ole Yankee ingenuity. Step 1: Get inspired. 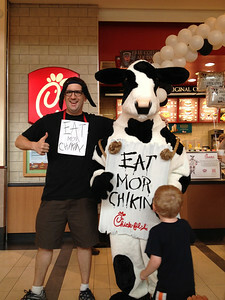 Google ‘cow costume’. 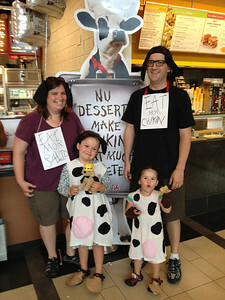 Think about cows. Wander around your house looking at things you might be able to make look like cow parts. Squint if you have to. 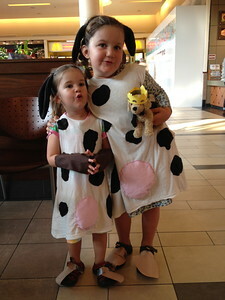 Ask your children what parts of the cow are important in a costume (enjoy their responses!) Try to zero in on the easiest possible way to accomplish those things. Step 3: Go at it. Use an appropriately sized dress/shirt as a guide to cut a dress/shirt from the large t-shirt. 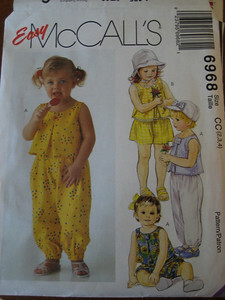 Be smart and salvage the bottom hem and you’ve saved yourself a step! Cut front and back pieces. 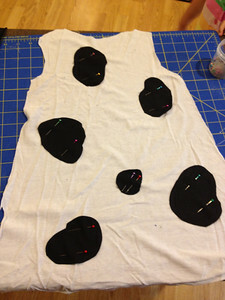 From the black fabric cut a number of black spots that vaguely look like cow spots. Vary the shapes and sizes. Always have a potty nearby. Cut a pink oval from the pink fabric. Scrunch up a bit of batting. 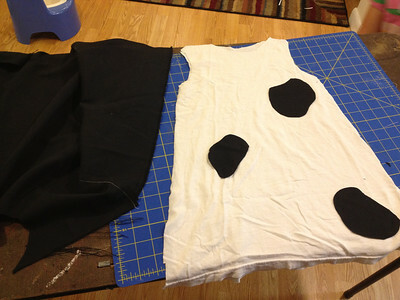 Pin the oval udder on to the shirt with the batting underneath. 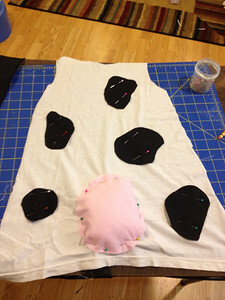 Sew around the spots and the udder. 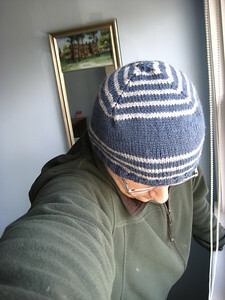 Straight stitch and zig zag work equally well. Enjoy that this is a costume and it doesn’t have to be perfect. Try it on your kiddo. 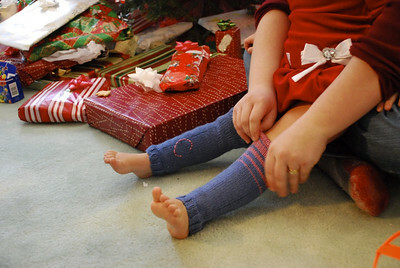 Be sure to ignore the mess your kids have made while you’ve been ignoring them. I mean, uh, sewing. 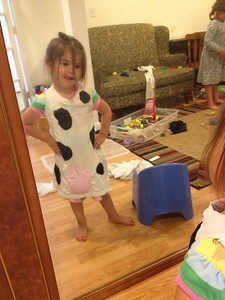 Accessorize your cow: I made ears using this great post: Make Your Own Cow Ears. 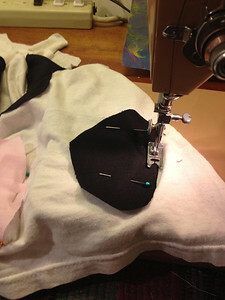 I made tails by sewing a tube of black fabric and then cut long fringe up 3/4ths of it. Then we pinned it to the back of the costume. Brown fingereless gloves were sewn up for ‘hand hooves’ (rectangles with thumb holes) and brown paper hooves were taped to their shoes. 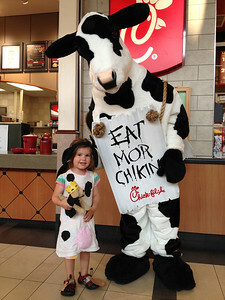 Step 4: Go and get some Chikin. or Salid. or Milkshakes 🙂 Have fun with your family. If possible, meet up with friends who like costumes too! 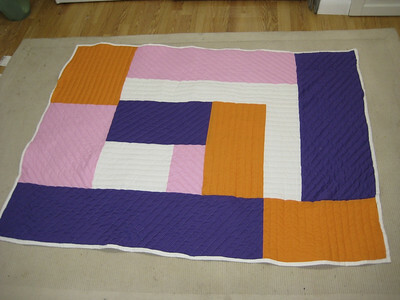 This entry was posted in Craftiness on July 13, 2012 by Rebecca. First, we had a wonderful lunch with Jackie. She’s in town on business from the West Coast and we were very glad that she could fit us into her schedule. While out at lunch, Catherine told me that she wanted to make some decorations during Esme’s nap. 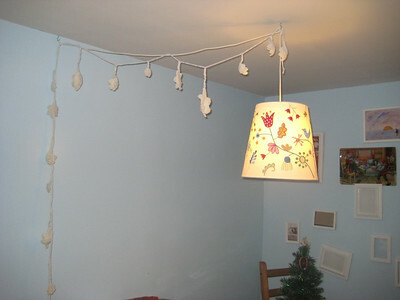 “What sort of decorations?” I naively asked. 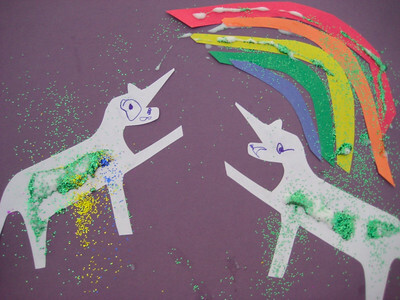 “Unicorn decorations!” Catherine whispered. Well, okay! So, once back at home, we got to work. My first attempts were pretty crude. Drawing is not my best talent! Catherine and I collaborated on this last one. Definitely the best unicorn picture of the day! 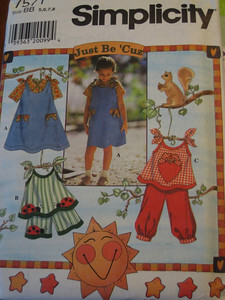 This entry was posted in Catherine, Craftiness, Friends on January 17, 2011 by Rebecca. It is definitely looking a bit like Christmas here at the Wood Homestead, thanks to three new Christmas Garlands we’ve recently hung. 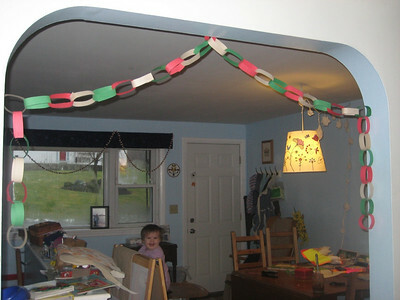 The second, a traditional construction paper Paper Chain garland. It is hung above harm’s reach in the archway between the dining room and kitchen. Catherine’s new found stapling skills were a huge help in making this garland. 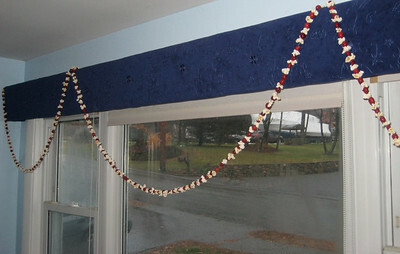 And finally, a snowflakey, starry garland hung to disguise the lamp cord above the dining room table. 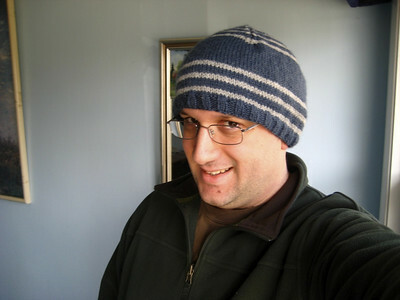 I knit the stars using this pattern (here’s mine on Ravelry for you ravelers) and then strung them all together. 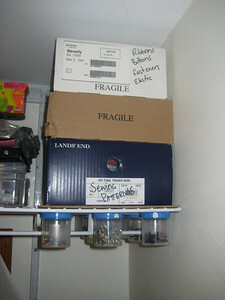 This entry was posted in Craftiness, House on December 16, 2009 by Rebecca. 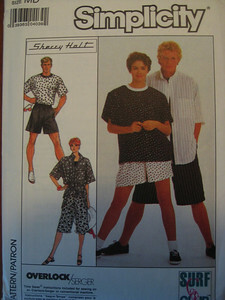 What is the first thing a gal should do when faced with five boxes of sewing patterns? 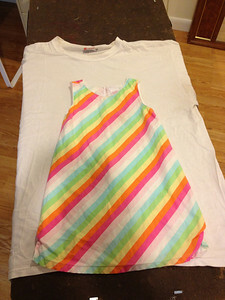 Take pictures and post them, threadbared style, on her blog, of course! 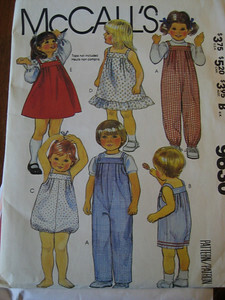 There are some really cute kids patterns. 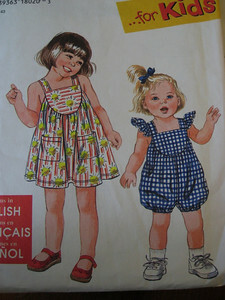 I love the simple lines of these little dresses and rompers! One of them is already in the works. Pics are soon to follow. 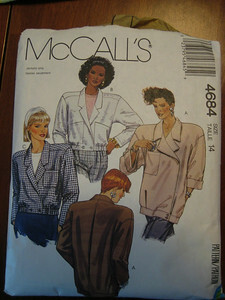 Holy shoulder pads, Batman! 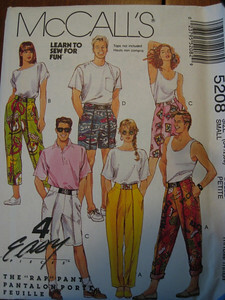 And I’m pretty sure that’s Meg Ryan from the later portions of “French Kiss” there in the yellow pants. Not the yellow pantsuit. I think Meg had better sense than that! 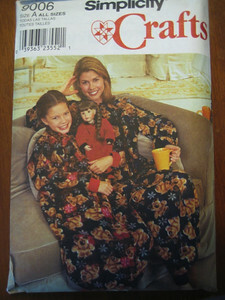 That’s right, folks, a Snuggie. Or at least it’s older cousin. Check out a bunch more here. 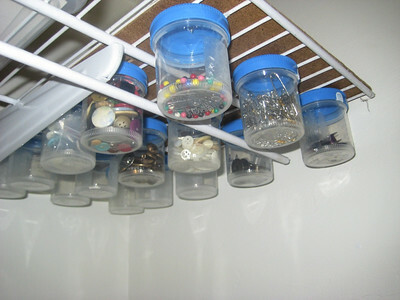 This entry was posted in Craftiness on July 1, 2009 by Rebecca. 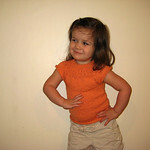 Per Catherine’s request, I made Esme an orange shirt just like hers. I had to do a little finagling with the pattern to make it smaller overall, but big enough to fit over her diaper. 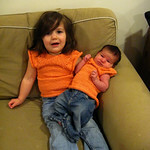 It knit up nice and quick and I think the two of them are pretty darn cute! 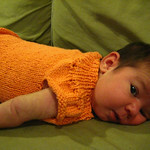 This entry was posted in Craftiness, Esme on March 30, 2009 by Rebecca. This is the blog where I come clean about my Mama-crush. I’ve been following Amanda’s blog, Soulemama, for quite some time now and am so often inspired by her words and her projects and her views on life and parenting. I own a copy of her first book, The Creative Family and am eagerly anticipating her second, Handmade Home. 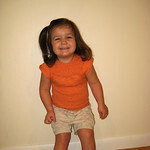 I was most recently inspired by this post in which she talks about a knit, spring-time top that she made for her daughter. I took one look at the top and knew I had to make one for Catherine. 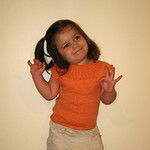 The pattern is called “Girl’s Cap Sleeved Spring Top” and is available at no cost here, or for those of you on Ravelry, here. 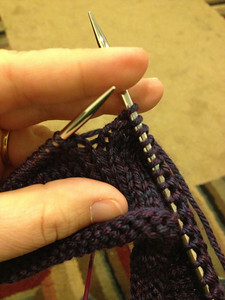 Knit seamless on circular needles it was a very fast project that yielded fantastic results. I really love the way it looks on Catherine and have plans to make a few more in different colors for the Spring and Summer. 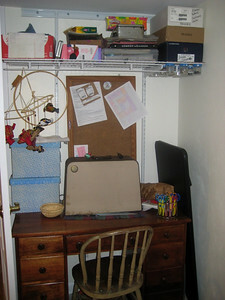 This entry was posted in Catherine, Craftiness, Crafty Bloggers on March 27, 2009 by Rebecca. I was determined to make many of our Christmas presents this year. Besides the tangible benefits- less cost, less waste, etc.- it was nice for me to have little projects to keep my fingers busy during the days. And most of them I could do right on the couch while Catherine played! 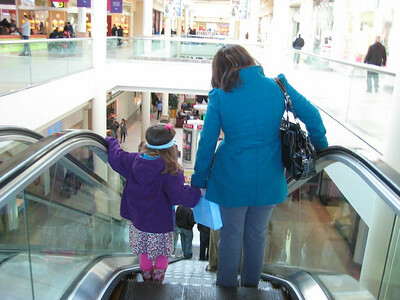 It was much more relaxing that walking the mall! Now that the surprises are no longer surprises I thought I’d share the things I made. 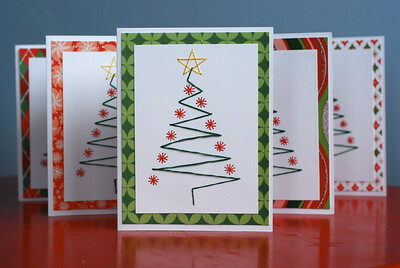 I was inspired by a photo online to try these Christmas cards this year. 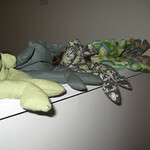 They weren’t difficult to make, but very time consuming. I definitely had fun making them and loved the way that they came out. 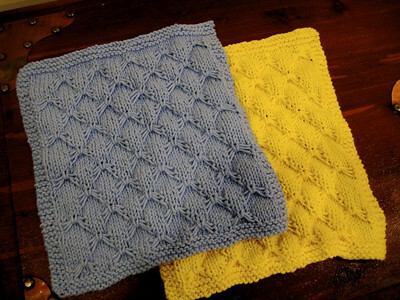 Knit dishcloths for my Mom and Mother-in-Law. They look really fancy, but were pretty simple to knit. I was glad to have these finished by the end of October. They set the crafting ball in motion for the rest of the season. Not a great picture, but you can see the little pincushion that I whipped up for my Mom. All the fabrics were scraps from my fabric box! 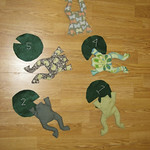 New Geeky Onesies ‘for’ Peter. He’s already mentioned them. Click here for their gallery and bigger pics. I had fun coming up with cute logos and such that reflect Peter’s personality and interests. 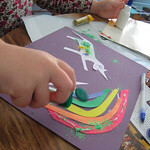 This entry was posted in Craftiness on January 12, 2009 by Rebecca.